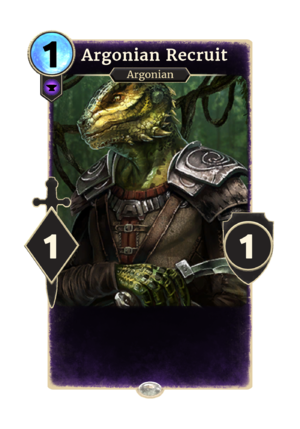 Argonian Recruit is a common Endurance creature card. "I raise the spine of obedience!" This page was last modified on 25 February 2019, at 01:13.